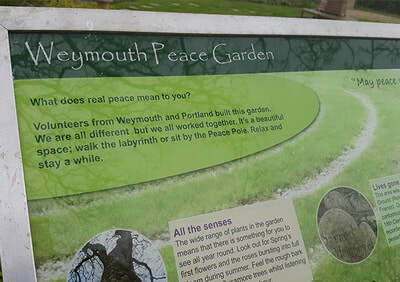 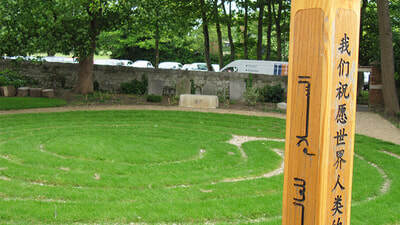 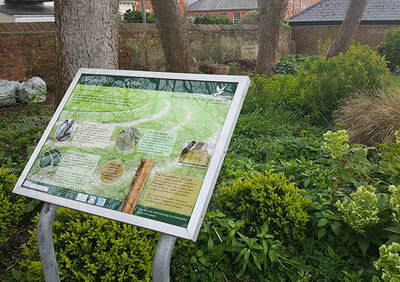 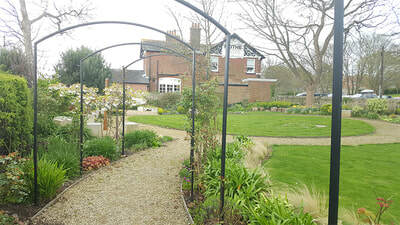 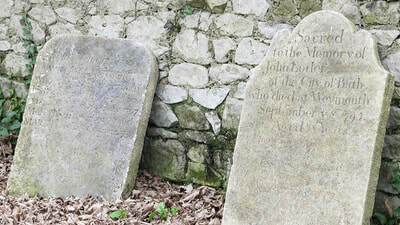 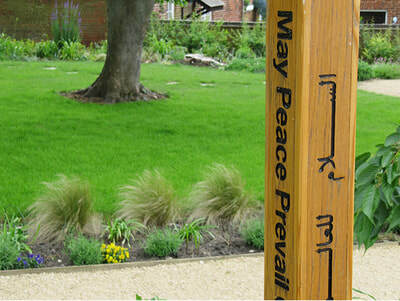 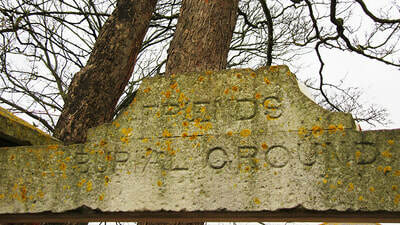 Weymouth Peace Garden lies on the site of a former Quaker Burial Ground. 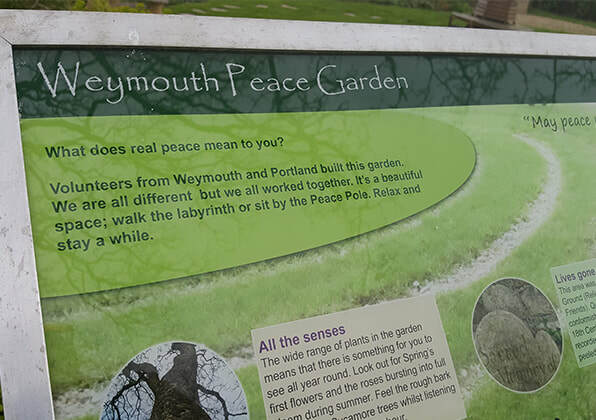 Much work has been undertaken by volunteers to clear the overgrown disused site and create a peace garden for the whole community to enjoy. 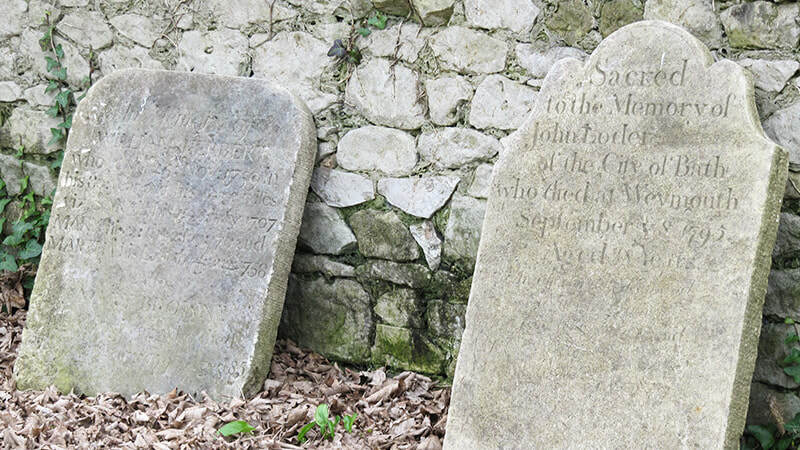 The walled burial ground is now run by a group of community volunteers from all walks of life; brought together by a shared interest in creating and celebrating peace, community and safe dialogue. We were commissioned by the volunteers to develop a management plan for this heritage-listed site and to produce an interpretation sign, leaflet and website. 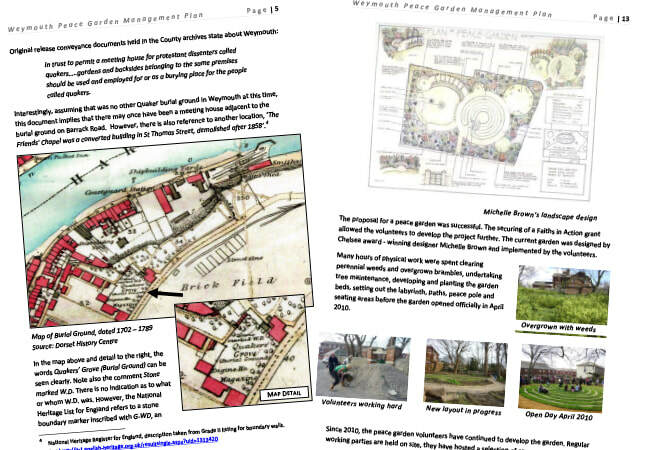 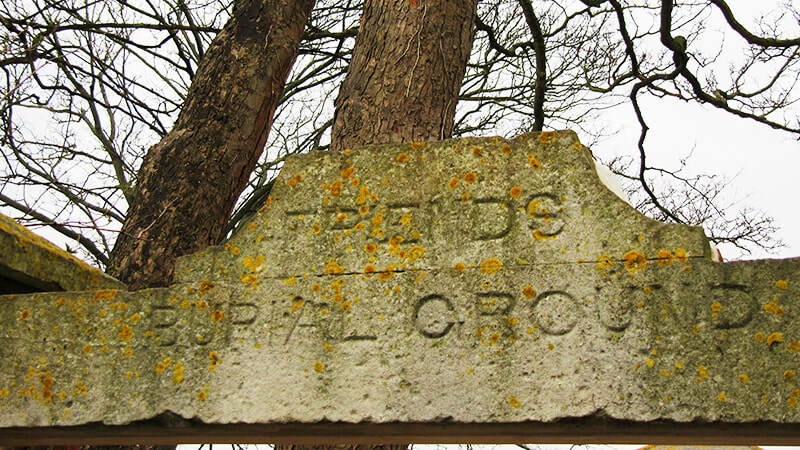 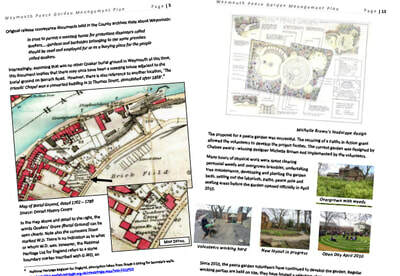 In writing the management plan we produced a history of the burial ground from a substantial amount of local archive research. 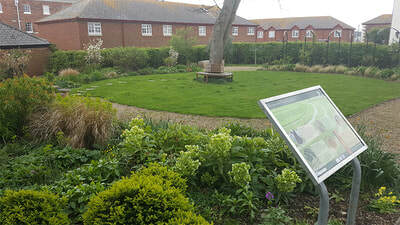 We devised a series of management recommendations and policies to ensure that the physical structure of the garden was protected as were the remains of the deceased. 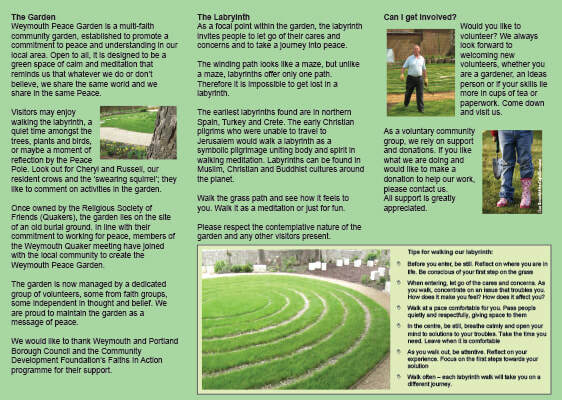 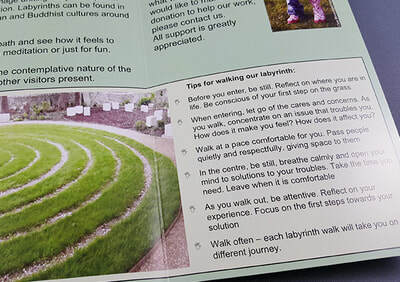 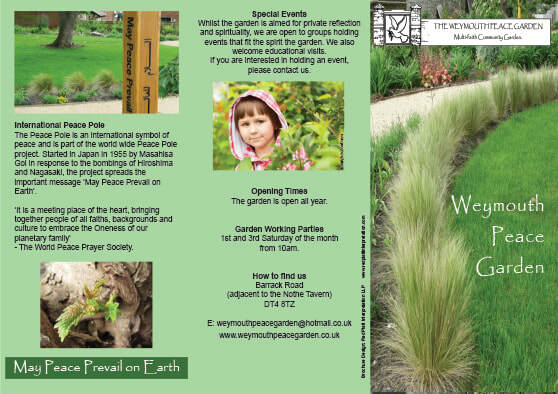 The interpretation panel and leaflet focussed on the message of peace and suggested ways to enjoy the garden as a meditation - especially walking the labyrinth.